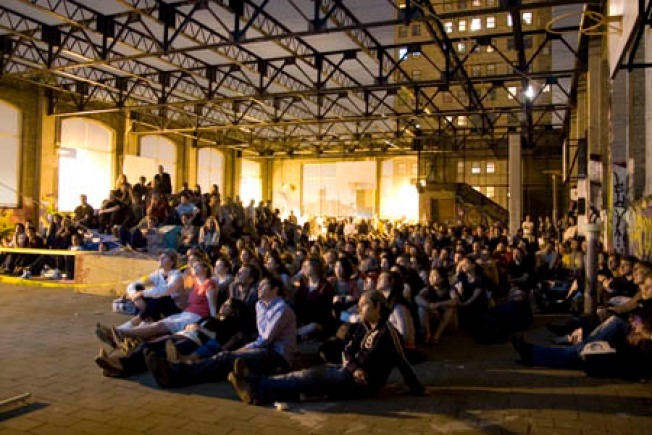 Rooftop Films kicks off its 2009 season. STAR POWER: The Rooftop Films 2009 Summer Series kicks off its 13th season tonight with "This is What We Mean by Short Films," a program of curated, well, short films -- "quickly clever but profoundly rich," in the organizers' words -- that you're invited to watch for free. On a rooftop. With an open bar of Radegast Beer at Fontana's afterwards. What's not to love? 8PM. AMERICAN GOTHIC: Even if all he'd ever done was pen the aching ode to lives too ordinary that is Angel From Montgomery (covered by Bonnie Raitt, Susan Tedechi and, oh, pretty much everybody), John Prine would still get Lifetime Achievement Award status. But he's done much more than that, as you'll hear at the Beacon tonight when he's joined by Justin Townes Earle. 8PM. ROCK ROYALS: What does Queensrÿche mean to you? Prom? Feathered hair? Summer drives in your first car with the windows down? Your first encounter with an umlaut? Whatever the association, chances are there'll be a whole lot of nostalgia resonating at the Nokia tonight, as the metal-powered boys from Bellevue bring their American Soldier tour to Gotham. 7PM.